Yesterday I ventured down to Roanoke for a grassroots event: Gravelocity. 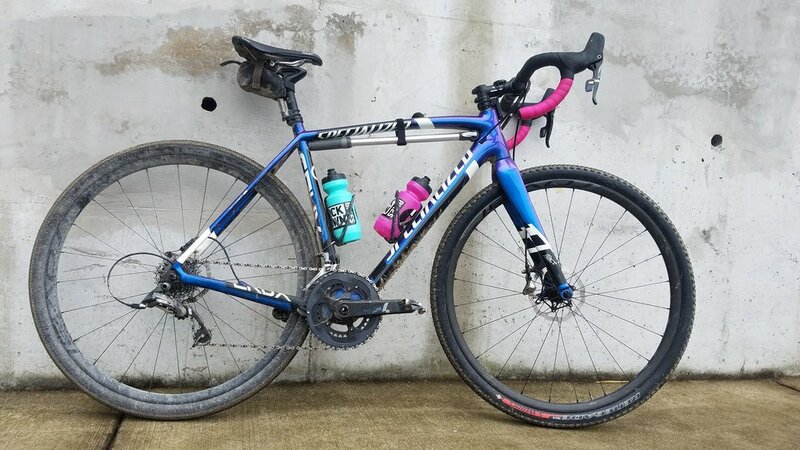 According to their Facebook page, "This event is the brainchild of endurance athlete Brian Lang, and each route was expertly hand crafted by Kyle Inman and Jeff Cheng." As I really was not feeling like getting up in the dark only to be darked on while on the bike (the 94 mile loop recommended lights for riding in the dark), I opted for the 50 mile route, which started at a nice normal time of 10am. This route was also said to include 1,804m (5,918ft) of climbing. 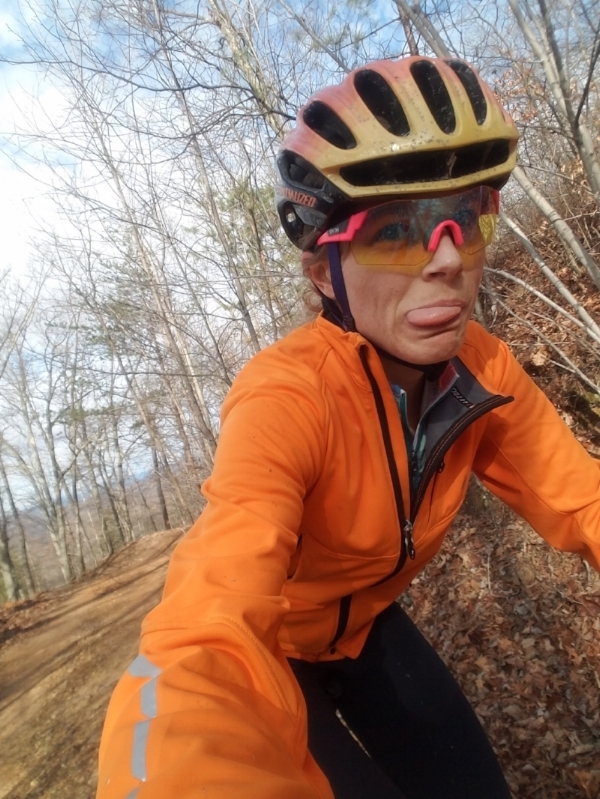 Many awesome dirt roads, amazing climbs and descents were promised, and I was looking forward to riding somewhere new. I don't think my bike set up could have been any better for this ride. 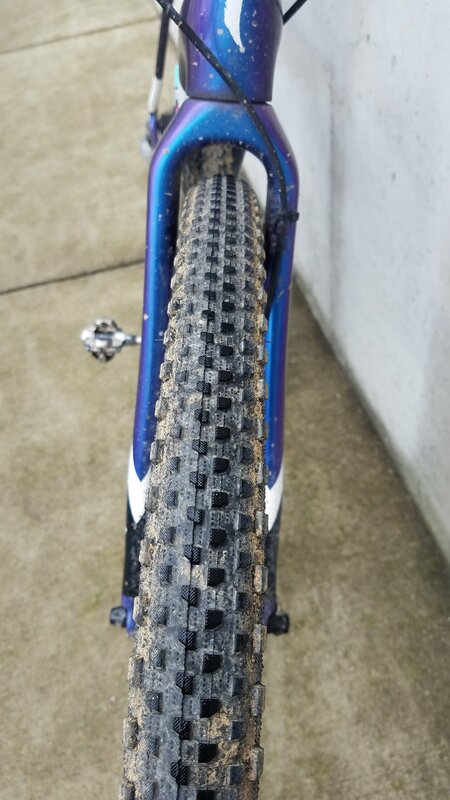 I ran my lovely blueberry Crux Pro with a 1.8 Sworks Renegade in the front and one of the new Specilaized 42c Sawtooth tires on the back. These tires ripped through the gravel so well! On one of the gravel descents (in the bonus loop portion of the ride), I hit over 43mph, without trying. 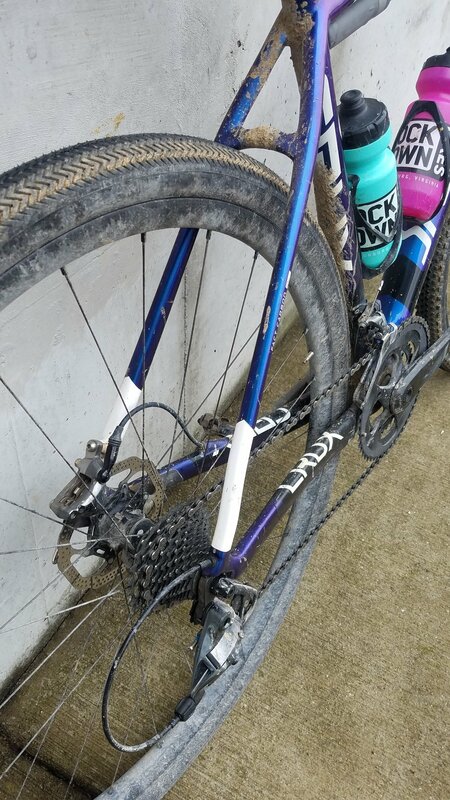 The bike just handled so well and the tires gave the confidence necessary to lay off the brakes and get a little dirty in the switchbacks. You can click through the gallery below to get a closer look at my set up. Gearing was 50/34 up front and 11-28 in the back. PSI in the front tire was 50, and 60 in the back. 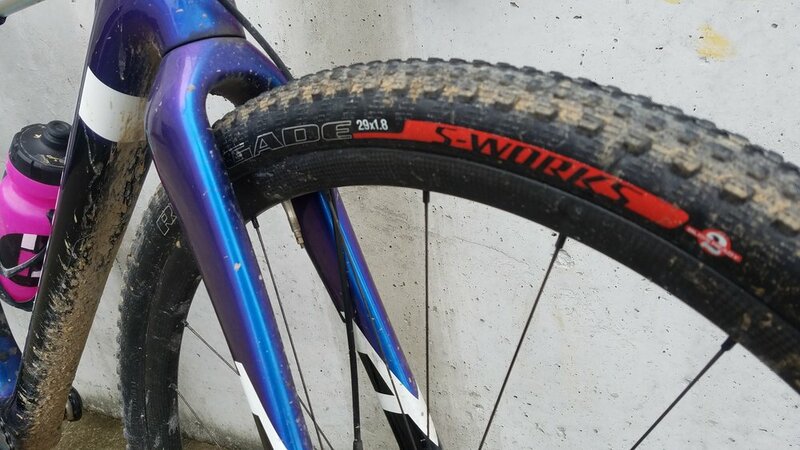 Tires can be set up tubeless, I was just lazy and didn't feel like doing the setup for it. Haha. I would say that gravel/dirt roads made up 75-80% of this ride, and they were absolutely AMAZING! Some would call those roads "messed up," but that only ups the fun factor. The challenges of handling technical terrain were not only limited to the climbing portions, but also applied to descending. In fact, some of the descents were gnarlier than the climbs. The biggest climbs of the day were forest access roads that lead up to the Blue Ridge Parkway. They were bumpy, wet, loose, and steep in a lot of places. If you've ridden the Big Bear Loop, just outside of Harrisonburg here, I would compare the terrain of the last descent from the Parkway to the ridge portion of Long Run Rd in that loop. It was sick! Total mileage was 63.1 with 6,989ft of elevation. I'm really happy I ventured down there to take part in this ride. Everyone was in good spirits, and the roads only got bettered as the mileage increased. I definitely recommend joining in one of these rides if you ever get the chance.